Being qualified shipwrights we can build any type of composite or timber boat. We have built many new projects for customers from small tenders to large cruisers and sailing yachts. 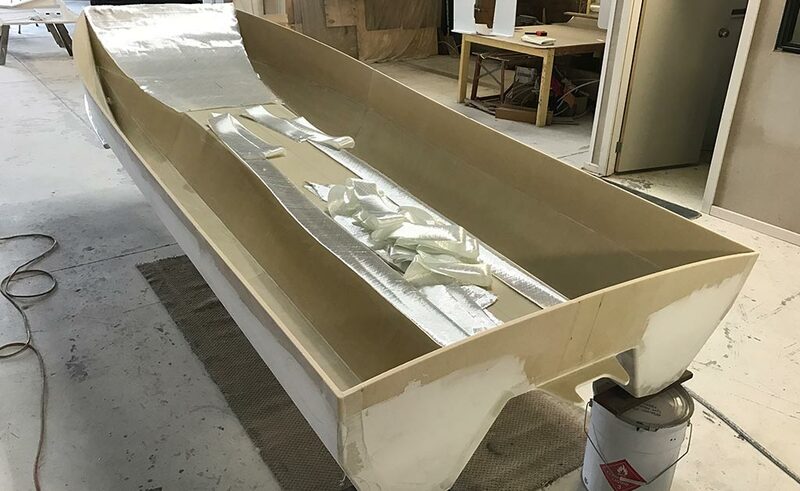 Some of our boat building projects have been built using epoxy foam sandwich to keep the boat as light as possible. Our scope of works covers most aspects of the build such as installing the engine/s, running the wiring and plumbing, fitting most appliances and instrumentation, windows and rigging if required. Specialist trades in final commissioning however it is always with our guidance and supervision. 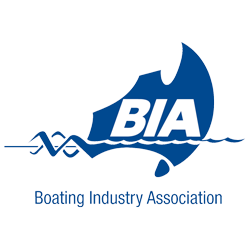 In many cases our customers prefer to improve their existing boat rather than trading up because unless buying brand new there is always a risk of buying another boat with problems of its own. 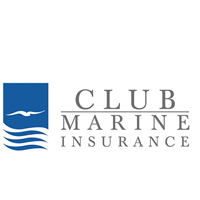 We can handle all types of work including accident repair, maintenance work from years of wear and tear and also major structural work such as bulkheads, stringers, floors and transom replacements. 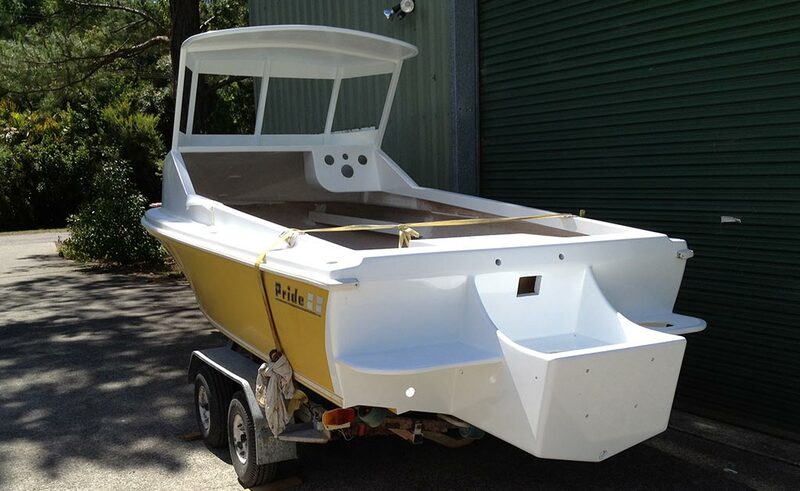 Fiberglass work is our specialty with most work undertaken using epoxy for secondary bonding. If building a composite structure in its entirety, sometimes polyester or vinylester resins is appropriate to the specific job. 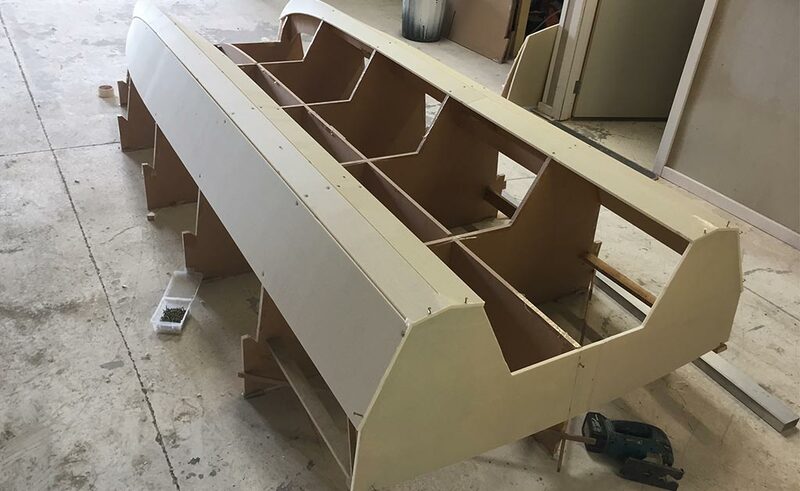 We also build moulds for boats or other composite parts which if a production part will streamline manufacturing. Part of any repair job is the finishing, this can either be finished using a 2 pack colour-matched paint system or can be finished in gelcoat. 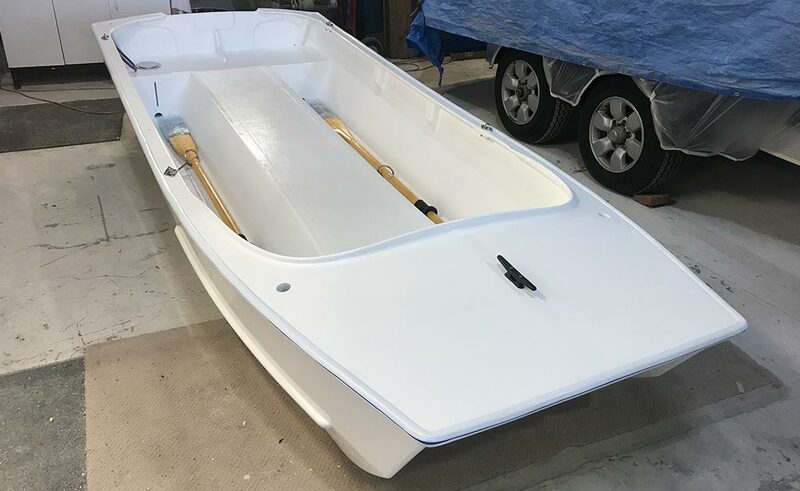 Customizing a fiberglass boat is usually quite flexible with plenty of options. 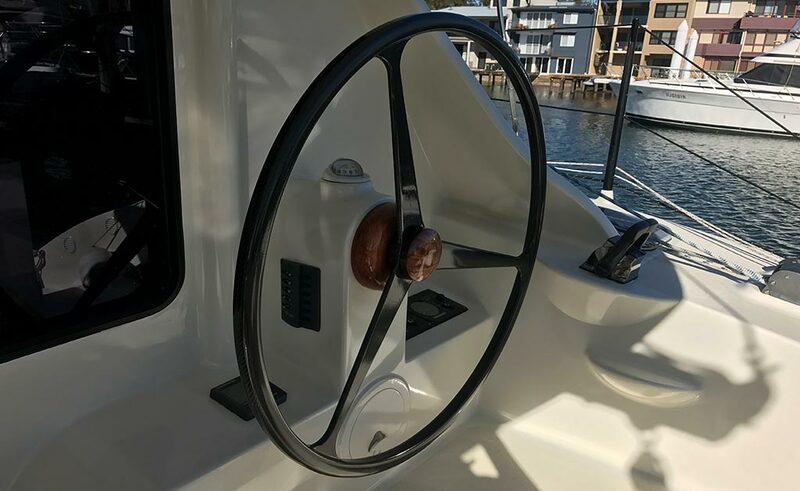 We have cut cabins off and re-modeled, cut transoms out and extended hulls, added wave-breakers and composite pods, converted windscreen boats to center console configuration and extensive interior fit-out mods. 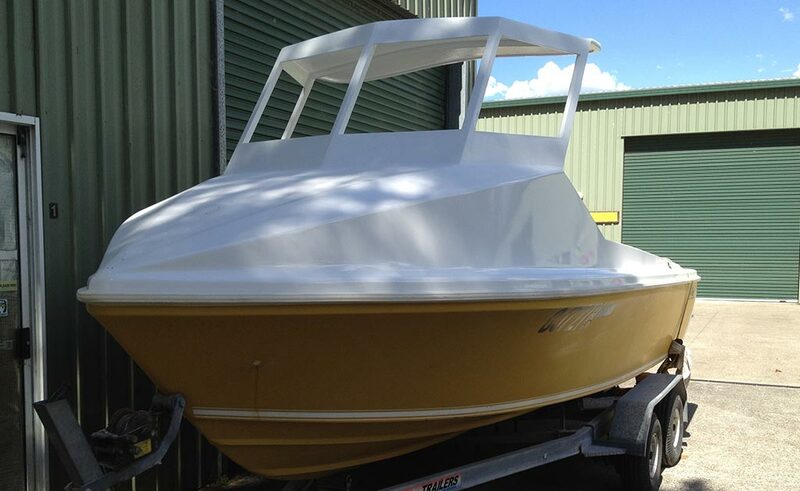 We are not restricted to fiberglass boats for custom work, we can work with alloy and even steel boats if required. 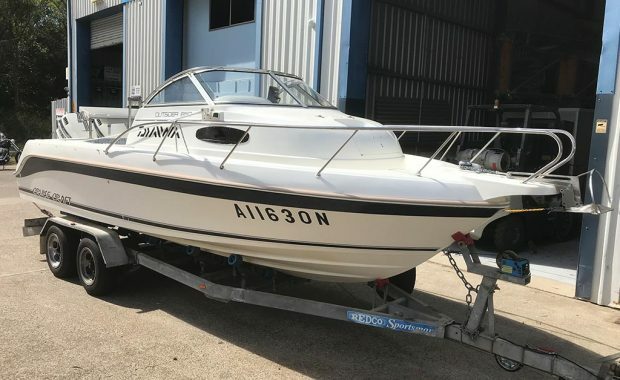 There is a great sense of reward in refurbishing an older boat and giving it the TLC it may have missed over its life. Clients often bring their boats to us for an appraisal of which is the best method to restore their old boat to its former glory. 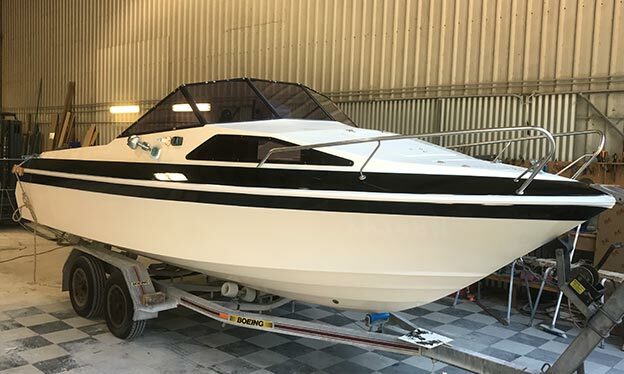 There is always a sentimental attachment to their existing boat where it is set up the way they like it and they know the boat’s handling and performance. 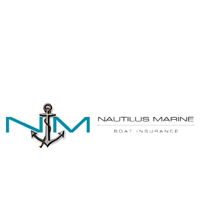 After years of use they also have a very good knowledge of what would improve the boat and perhaps some additions. Some projects require a full restoration involving glassing any damage and even stress cracks in the gelcoat need to be ground out and filled to ensure adequate preparation for the re-finishing. A boat may need some fairing if the hull has moved over the years which can happen due to fatigue. We always recommend to follow this step with a coat of epoxy primer guaranteeing a good bond to the substrate. At this stage the key is to prepare the surface of the primer to a high level as this is what produces the standard of the painted finish. 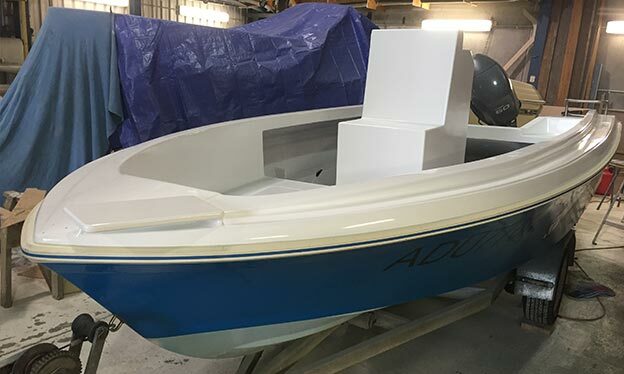 Not all boats require a major respray as described above, if it is an older gelcoated fiberglass boat often the gelcoat can be revived with a good cut and polish. Or an intermediate solution is to repaint the stripes if the boat is a two tone layout, and detail the rest of the boat. Dark colours will always fade quicker than lighter colours and these may be better painted. Another approach could be to replace things like the gunnel rubber, windows, windscreen, seats etc to lift the look of the boat. We often undertake major re-fits on boats from trailer-able through to large boats on the hardstand. The larger projects often require pulling in other trades such as an electrician, mechanic, gas fitter, rigger or specific technicians to install systems. 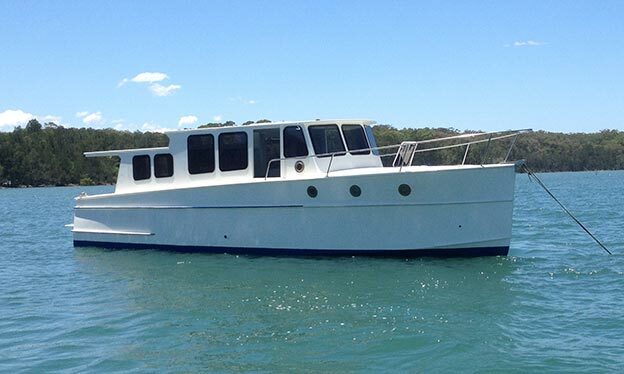 We have installed electronic engine controls, new solar panels and battery banks, new anchor windlasses and rode, eutectic fridge re-gassing, galley appliance upgrades and mods, new toilets and holding tank installations, ceiling panel replacement, foam backed vinyl lining, carpet laying, timber fit-out joinery, custom bimini shade frames and covers, upholstery work, hull osmosis repairs, new water tanks installed, rudder repairs and replacement, keel repairs and replacement, removal/replacement of masts and rigging work. There is not much we can’t do on your boat! And if we can’t, we can find someone who can!